Pokémon Go is beating all the records after surpassing Candy Crush to become the biggest US mobile game of all time. The location-based augmented reality game has already surpassed Twitter in daily users and eclipsed Facebook in retention time. When the mobile game surpassed Tinder last week it was only a sign of things to come as Pokémon Go can now boast 11 million daily active users on US Android devices, according to SurveyMonkey. That’s 5 million more than Twitter and, if its rapid success continues, it could see overtake Snapchat and Google Maps. This trend has been seen before in apps that scored quick successes before disappearing into oblivion. Pokémon Go’s user retention time could be an indicator that it’s set to stick around for a while though, with the average user spending 33 minutes in the game per day - 11 minutes longer than is spent on Facebook. While this is much longer than rival game slither.io - which has a user retention of 11 minutes - Pokémon Go still lags behind Candy Crush at 43 minutes and Game of War with a staggering time of nearly two hours. Pokémon Go, released in the US on July 6 and gradually made internationally available since, continues to surprise its users by placing the creatures in unexpected locations - with some even finding Pokémon ‘Gyms’ at the famous Area 51 military base in Nevada. 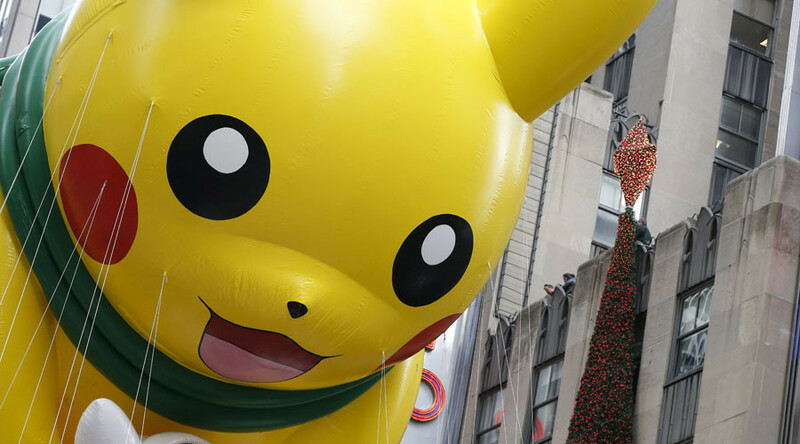 Pokémon planted by the game's designers have been found in several controversial locations, including the Holocaust Memorial Museum in Washington DC and the 9/11 memorial. One 19-year-old girl in Wyoming even discovered a dead body while she was searching for Pokémon. Players can capture, battle and train Pokémon who ‘appear’ throughout the real world via the game. Using the phone’s camera, players can battle their Pokémon in real-world settings as well as travel to collect new characters.